There is something brewing in the South of France, just about an hour outside of Toulouse. 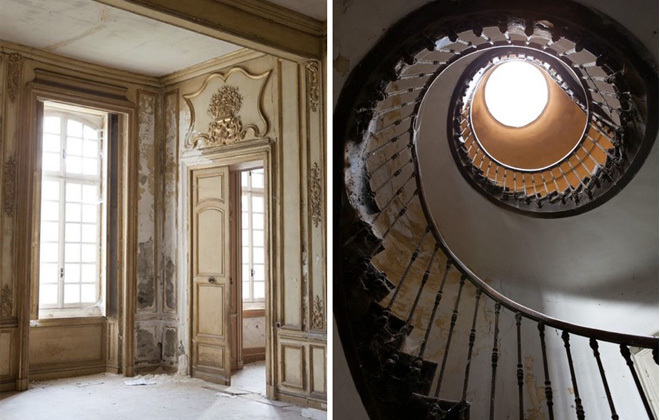 In a small town called Château-Verdun, an 18th century estate has been lying in wait, that is until 2013 when Australian couple Karina and Craig Waters bought the property with plans to restore it to its former glory. 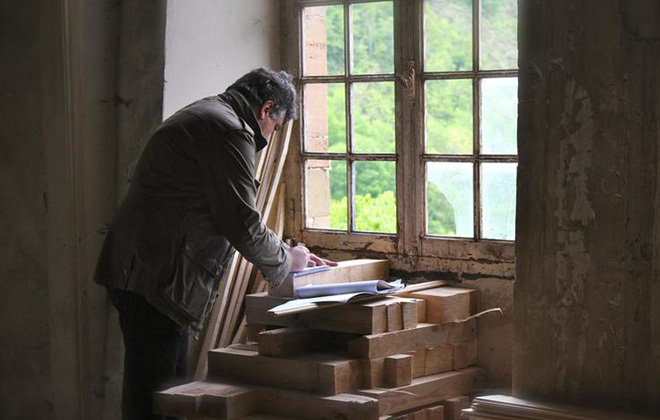 Now, we are all watching carefully as Chateau de Gudanes slowly comes to life again. Carefully, and a bit obsessively on my part, as I follow their every move on their beautiful Instagram feed! Stunning, isn’t it? 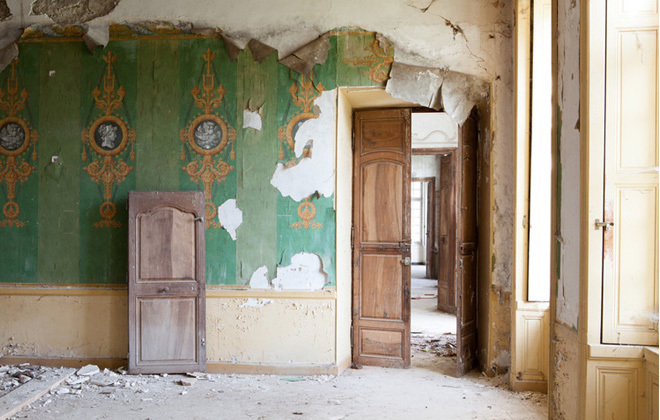 I love the green, peeling wallpaper. 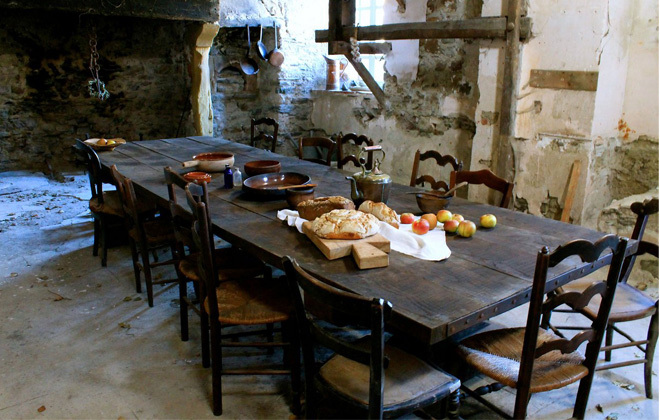 All images from Chateau de Gudanes. 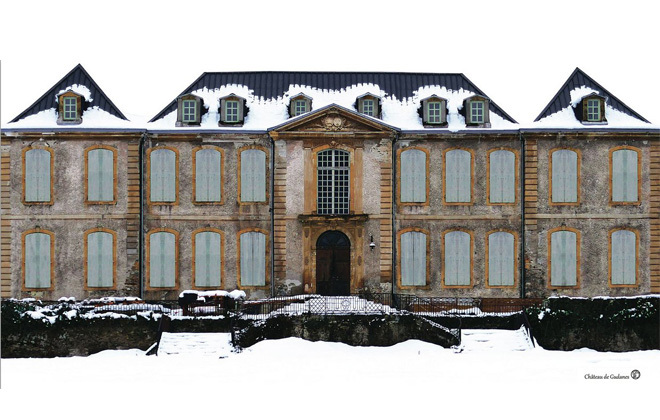 Their magnificent house originally belonged to Marquis Louis Gaspard de Sales, who commissioned Ange-Jacques Gabriel, the famed Parisian architect of the Petit Trianon in Versailles, to build the estate around 1745. But the Marquis de Sale only had the house in his family’s possession for about fifty years, until the onset of the French Revolution, which upended the aristocracy. Some more details of the interior. This looks like it might be handpainted guardrails? 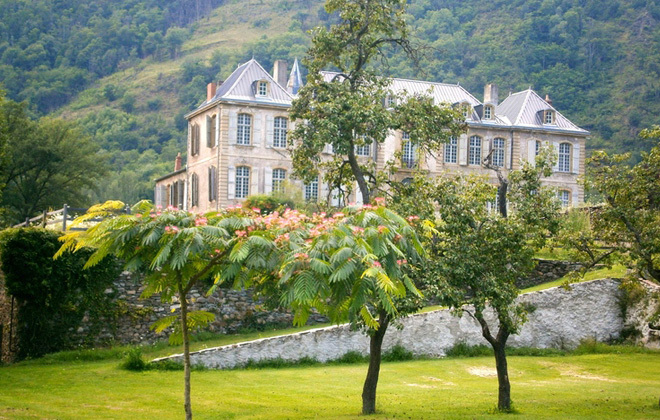 The estate somehow escaped total destruction during the revolution, and was later bought by an up-and-coming business man of the new bourgeoise, Pierre d’Astrié. The estate then remained in the Astrié family through World War II, passed down through the family. 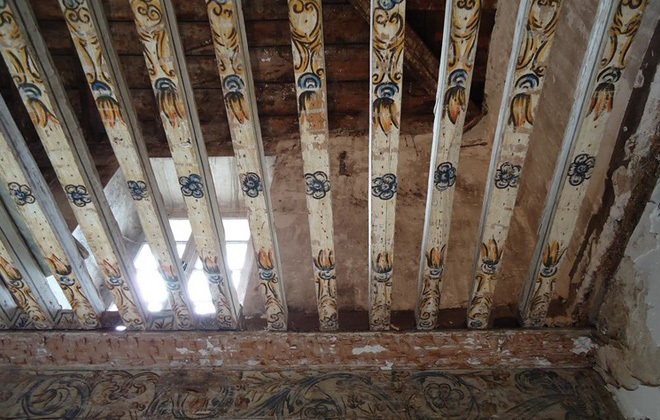 A developer bought the property in the 1990s hoping to turn it into a luxury hotel, but because of the strict building codes on this Class 1 Land marked Monument, they could not complete their project, and the house fell into disrepair. I can’t imagine how much work there is to be done. What an incredible effort! I just can’t get over how beautiful it is! Enter the Waters family, who had been on the search for the perfect getaway in the French countryside, and found their match with this one in 2013. It was not easy, as the grand house had basically become dilapidated due to lack of care, but also because they were committed to resurrecting this neoclassical masterpiece of an estate. This all makes my heart skip a beat. Look at the details! Ohmygosh, that staircase! Every image looks like is all staged for a period film, but this is where they live. Incredible. Finally, after overcoming building code battles of their own, the Waters family was able to dig in and begin their immense journey of restoring this classic beauty. Committed to the heritage not only of the house, but of the land and the surrounding region, the Waters are ensuring to rebuild the estate but not erase its history all together. Rather, they are planning on maintaining elements of the “rawness, wear, and history” via restored details, and up-cycling as much as they can from the original grounds. Entering this place when it does finally open, will most likely not feel as if you are stepping back in time – as many restoration projects tend to, rather that you are stepping through time, seeing an entire history embedded in the walls, seen in the decor, and felt in the calm, quite presence of this remarkable treasure. I. Can’t. Wait.